Flint Expatriates: Bowling for Dollars in San Francisco. 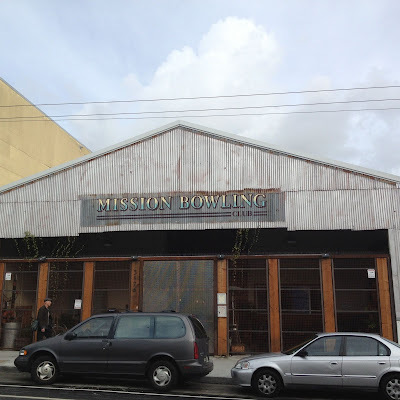 San Francisco doesn't have bowling alleys like dear old Flint. It has bowling clubs. The cost? $55/hour for a single lane after 8pm. A little different than Nightingale Lanes, where I learned to bowl.